This is one of the two movies I missed from the Popcorn Frights Film Festival a few months ago. It's one of the few that wasn't a horror movie, even if it has a few nasty effects; instead, it was a '70s throwback space Western that, while pretty lacking in plot, is utterly dripping with atmosphere and style. 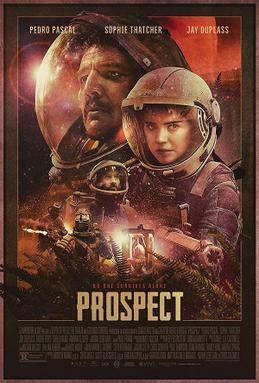 I was captivated by the world this film takes place in, which feels like how early interstellar exploration and moon mining might actually go down, and even though this was plainly shot in the forests of the Pacific Northwest, they still managed to make the world feel truly alien. Pedro Pascal was also amazing as the anti-hero lead, like if Han Solo had a rougher edge to him (no surprise they're giving him a Star Wars movie), and his charisma basically carried the whole film. It's a fairly slow movie without a lot of action or interesting characters beyond Pascal's, but if you're into these sorts of more slowly-paced science fiction movies, you're in for a treat with this one. Last Edit: Nov 21, 2018 23:03:54 GMT by Kevin R.